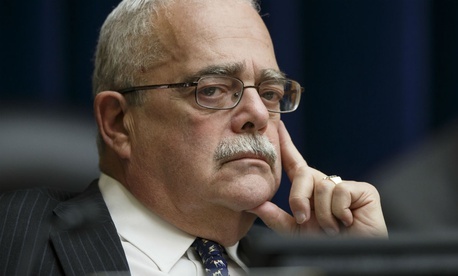 On Tuesday, Rep. Gerry Connolly, D-Va., introduced the Equal COLA Act, a bill that would ensure that enrollees in the Civil Service Retirement System and the Federal Employees Retirement System receive equal cost of living adjustments to their annuities each year. Under current rules, which date back to 1986, the CSRS methodology for calculating cost of living adjustments is tied to the change in the consumer price index. But FERS COLAs are extrapolated from the CSRS adjustment: if the CSRS sees a COLA under 2 percent, FERS retirees receive the full COLA. If the adjustment is between 2 and 3 percent, FERS enrollees would only receive a 2 percent increase. And if the CSRS COLA is 3 percent or more, FERS retirees would receive that adjustment, minus 1 percentage point. Connolly’s bill would ensure that FERS cost of living adjustments are calculated in the same way as CSRS COLAs each year, so that retirees in each program see the same increase in their annuities. The bill has the support of unions and federal employee associations, including the National Active and Retired Federal Employees Association, American Federation of Government Employees, National Federation of Federal Employees, the Federal Managers Association and the Senior Executives Association. In a statement, NARFE National President Ken Thomas urged Congress to approve the legislation in time for 2019. Next year, while CSRS retirees will see a 2.9 percent cost of living adjustment, FERS retirees will only receive an additional 2 percent.